My journey into essential oils just happen randomly. At a time in my life when everything had been moving really fast, I had just moved away from home, working multiple jobs and my health just felt like it was slowly declining. Everything just seemed so crazy and I knew that I needed something. I wasn’t sure what, so I started looking. Earlier in the month I gotten a small gift from a student, it was an essential oil roller ball. I loved the smell and enjoyed that after rolling it on I felt more grounded and calm so I began wearing it daily. When I asked the students mom what it was, she told me that it was Young Living’s Peace and Calming blend. I had fallen in love with oil and knew that I needed more of it. I started looking more into Young Living and discovered all of the benefits of the starter kit. Now it has been over a year of using young living. Everyday I learn something new, and everyday I thank my past self for wanting something different. Young living has made a huge impact on my life, I no longer use candles, I got rid of any toxic cleaners, and I have been able to help my friends and family make changes to their health as well. I know that I may not know everything about Young Living, but what I do know is that I have chosen the place to get my oils from. 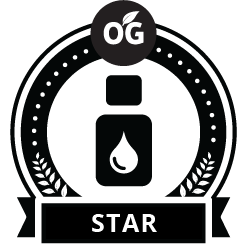 They set the standards for essential oils and are constantly improving their company. I love this company and the oily family I have gained by joining them. They have taught me so much and have helped me gain the knowledge to make the right choices my family and I. Hey! Let's work together to learn how you can use essential oils in your everyday life. My family has been using essential oils for over a year now and I honestly don't know how we made it through the day without them! Want to learn more? Contact Larry Robinson — A Trinity Young Living essential oils distributor.